One of the most original attraction in Akko is the Tunisian Or Torah Synagogue or "Jariva". This Synagogue is completely covered in mosaics, on the wall, floor and many stained-glass windows. 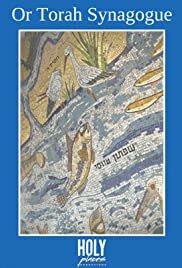 All of the mosaics were created in Kibbutz Eilon from millions of natural stones. We can find not far from this places the Church of St. Andreas, Khan al-Umdan or St. George Church (Acre).